Why hike up just to hike back down? 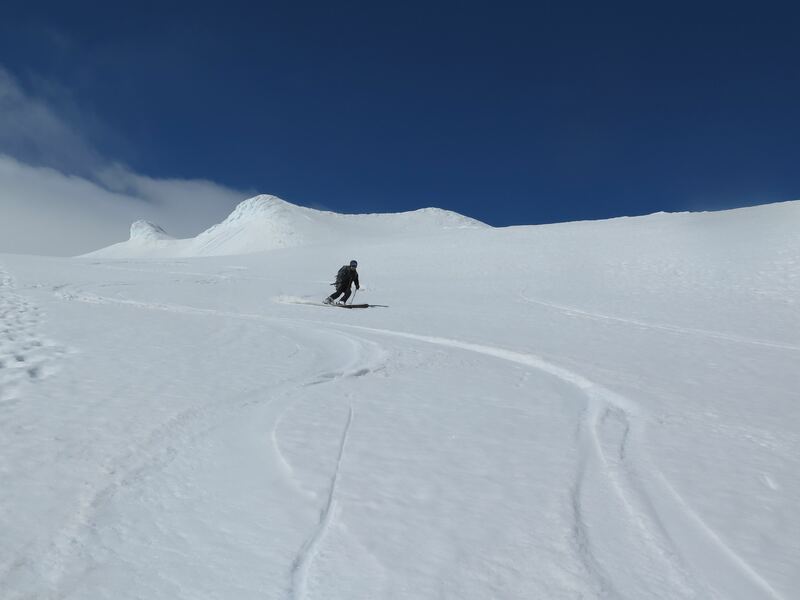 Lets put on our skis, skin up and have a blast on the way down. 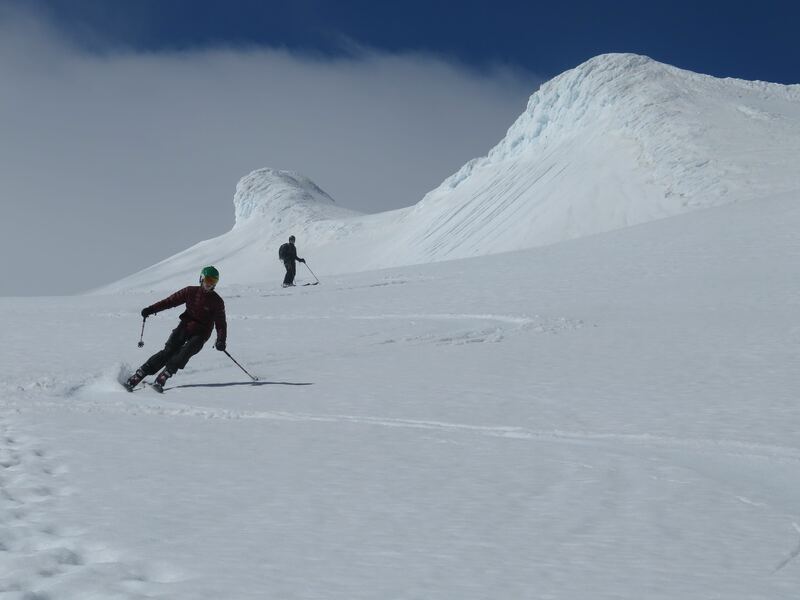 Ski touring the volcano, Snæfellsjökull glacier offers one extremely scenic and photogenic view from all sides towards the open waters of the North-Atlantic ocean. Eyjafjallajökull is the home of the volcano that erupted in 2010 and if we go there we have the chance of panoramic view over the black sand beaches of the south coast and Eyjafjallajökull's crater. Depending on weather, conditions and your choice we either go for Eyjafjallajökull or Snæfellsjökull. We pick you up at 08:00 at your accommodation and head towards the Snæfellsnes peninsula. After about 2.5 hour of driving we gear up and have a safety briefing on avalanche rescue and crevasse rescue. 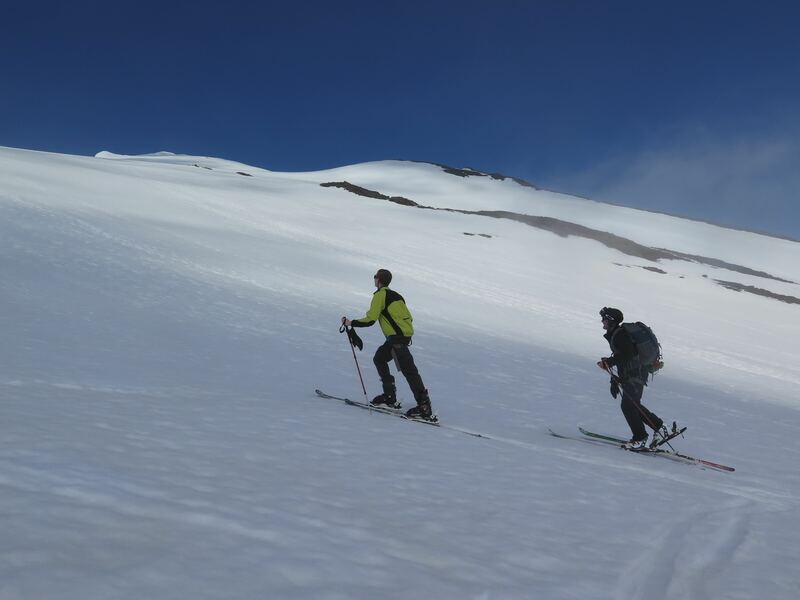 The ski touring to the top takes about 3 hours, gaining around 1000m elevation depending where the snowline starts. 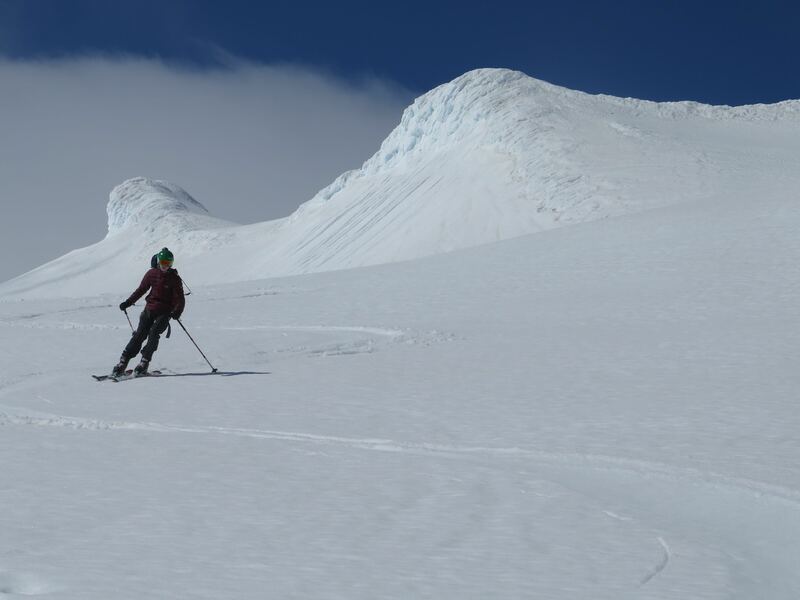 The summit of this ancient volcano sits at 1446m and with unforgettable views from the top we ski back down, where the backcountry skiing is fantastic and end up by the car and drive back to Reykjavík. 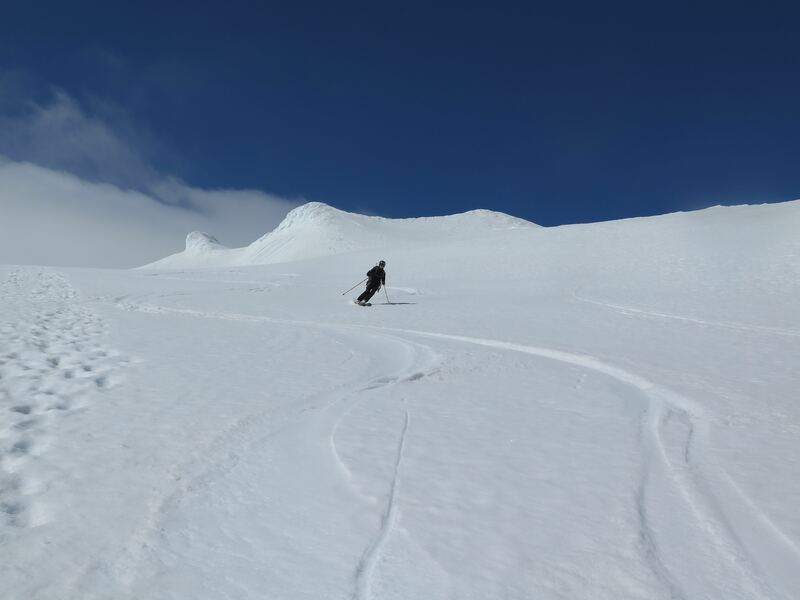 On the way down we can expect variable snow conditions that could be icy, crusty, slushy, hard packed or powder. We pick you up at 08:00 at your accommodation and head east along the waterfalls, black sand beaches and volcanoes of the south coast of Iceland. After about 2 hours of driving we arrive at our destination. The well known Eyjafjallajökull volcano that erupted in 2010 spewing ash over the northern hemisphere rises 1666m above sea level. Depending on snow conditions we might have to hike in our ski boots to reach snow line. 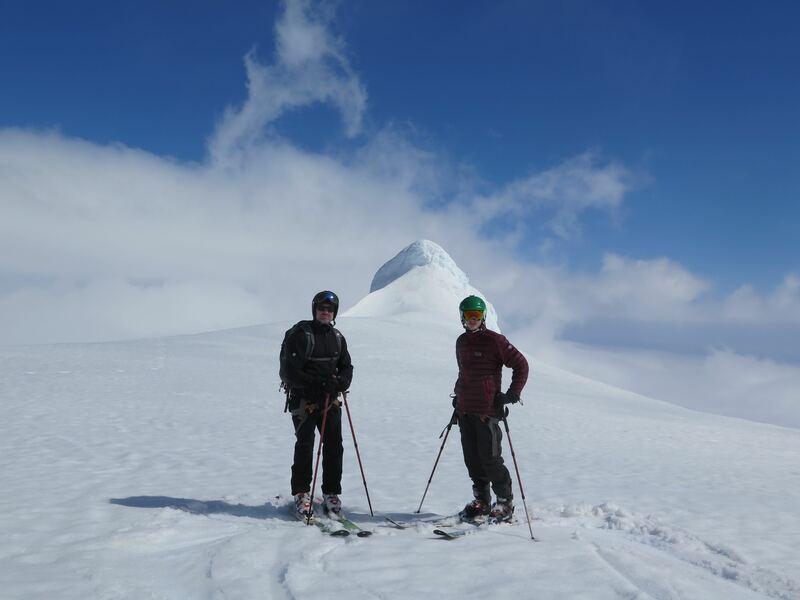 We put our skis on and ski tour about 4 hours to reach the summit. From the top we have a great view over the south coast lowlands and the 2010 eruption site. On the way down we can expect variable snow conditions that could be icy, crusty, slushy, hard packed or powder. 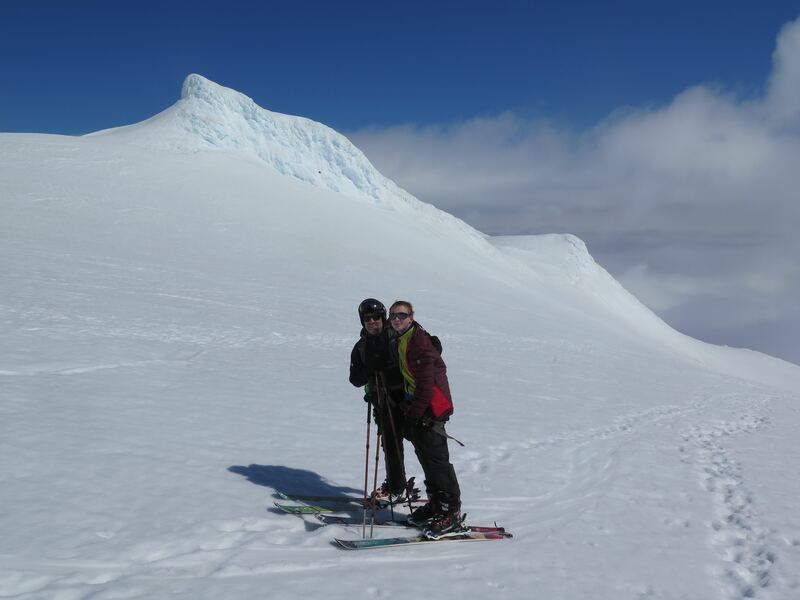 Avalanche gear - Available for rental (probe, shovel and beacon).